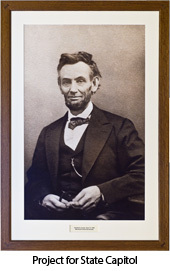 "The University Book Store Framing Department has done a wide variety of projects for the Wisconsin Historical Society. The quality of their work is top-notch. John is always very knowledgeable and professional. He is great at offering suggestions and works with us to stay within our budget and timeframe to get the project done. I would highly recommend John for all your framing needs." "Since moving to Madison 14 years ago, I have relied on John Sheean for my framing. John is an artist with a clear understanding of how a frame can solidly shape, protect, and maximize the visual beauty of any given work. John's expertise and attention to the detail and craft of framing is apparent in all the works that come out of his shop. The price is reasonable and the quality excellent." 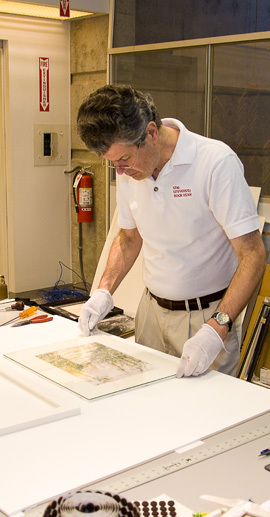 On May 1, 2009 The University Book Store, at its 711 State Street location, opened a full service, in-house, custom framing department, after adding John Sheean, formerly of MASCO Art Supplies & Framing, to its staff. John came to the Book Store with over 30 years of professional framing experience and a client base that included the Wisconsin Historical Society, the Wisconsin Historical Foundation, University departments and faculty, students, campus businesses, and local professional artists. 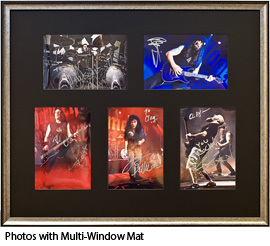 The services offered by John and the framing department include custom mat cutting, picture glass cut to order, dry mounting of posters, as well as custom sized metal and wood frames. Small orders for mat and glass cutting services can generally be provided in 24-48 hours. 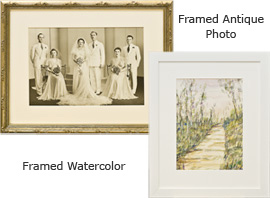 Most other custom frame orders require a 7-10 day turn around, but rush services are available.Possessing an undergraduate and two graduate degrees in art, and with over 35 years of professional art experience, John can offer expert consultation on all framing projects. During April, John was asked and traveled to consult on framing requirements at the governor's residence. Recently John has completed projects for the governor's and other state official's offices in the state Capitol, for the Camp Randall suite holders on behalf of the UW Athletic Department, and the UW Undergraduate Symposium 2011. Recent projects for local businesses include Wando's Bar and Grill, Husnu's, and Brickhouse BBQ. John is generally available Monday through Friday at the downtown Book Store. You can contact him directly at 608-310-5944 to schedule an appointment. 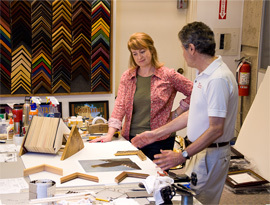 All framing questions, problems, and projects are always welcome no matter how large or small. Of course, University, State, and quantity discounts are always offered. Delivery within the campus area can usually be arranged. Therefore, we welcome and encourage you to contact John at The University Book Store or online at uwbookstore.com with your future framing needs and requests. "John Sheean has done many framing projects for me and all have presented my work wonderfully and made sales for me. On one occasion, John framed a 6' X 3' print of mine and as the collector walked out of John's shop with the framed print, another customer saw it and wanted one for herself. She contacted me, bought the print, and had John frame it for her exactly as he had for my previous client. John has an excellent eye for art and is clean and precise. I would go to no one else." "Twenty-three years ago, John cut the mats and glass for my Master of Fine Arts Exhibition at the University of Wisconsin. We have been working together on the presentation of my watercolors ever since. When exhibiting my paintings in museums and private collections, at Edgewood Orchard Galleries in Door County or Fanny Garver Gallery in Madison, I am always confident that John's craftmanship will match the professional caliber of my work. His knowledge of materials and meticulous attention to detail are exceptional." "For twenty years, I have worked with John Sheean in the matting and framing of my color photographs, up to 16 X 20. John brings the knowledge of a professional and the patience of a friend to each project, helping me select the ideal mat and frame combination to best display (and preserve) each image. I highly recommend him."